It’s long been joked about that as soon as it hits autumn, no one shaves for about 5 months. Because who cares right? When I lived in Finland I wholeheartedly joined in with this, I no longer conformed to what society expects of us and I relished in the extra warmth it provided me when it was -30 degrees outside! But as someone who swims & does cross fit during the week, hair removal is still a must for me in the winter months these days, and especially with nights out if your legs are on show. 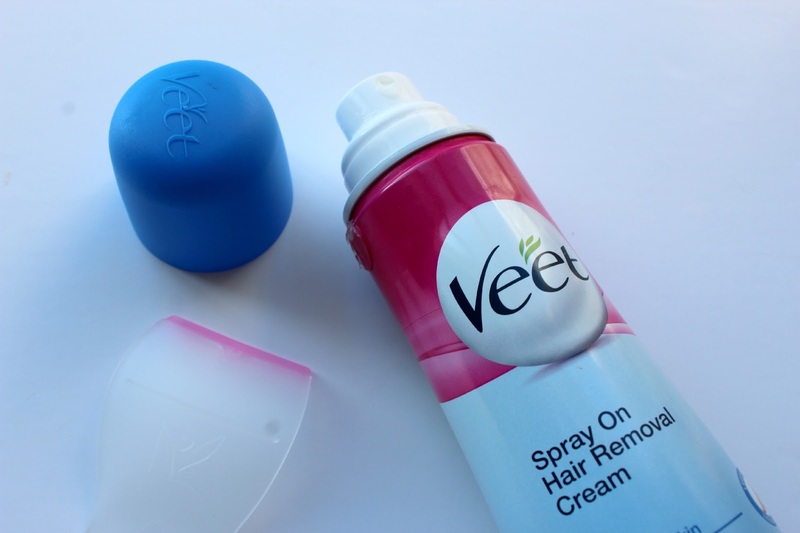 However, it doesn’t matter what month of the year it is as I am incredibly lazy with hair removal and I’m always in search of some easy options so I usually opt for shaving, so Veet’s new hair removal range Natural Inspirations was definitely something I had to test out! Waxing has always been one of my most preferred types of hair removal methods, even though it hurts for that split second of time it’s much quicker and lasts for a LOT longer! 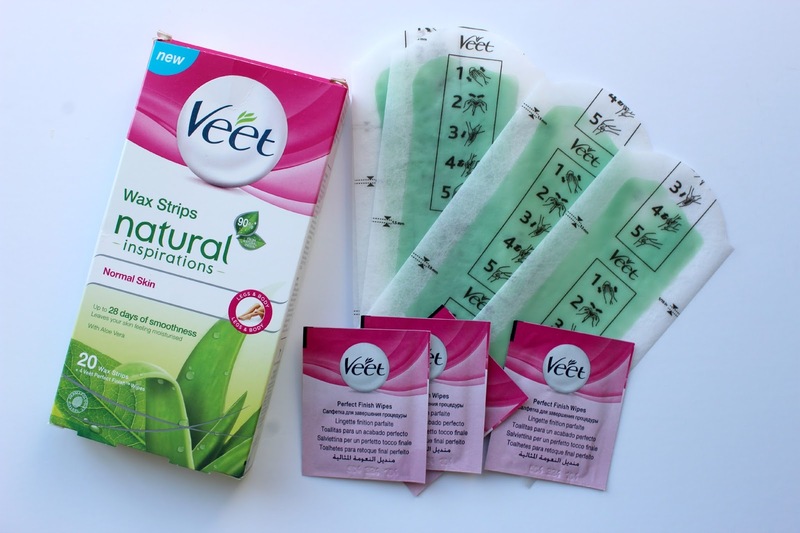 Over time your hairs eventually grow back slower and thinner anyway so you can even benefit from having hair free skin for up to 5 weeks!I’ve used Veet wax strips before and have always been pleased with their results. These wax strips from their new range are enriched with aloe vera which is incredibly soothing to your skin and should leave your skin feeling moisturised afterwards. Wax strips are self explanatory in their selves and the way you do it doesn’t really differ from brand and once you’ve got the hang of doing it, it becomes a lot easier and less painful. 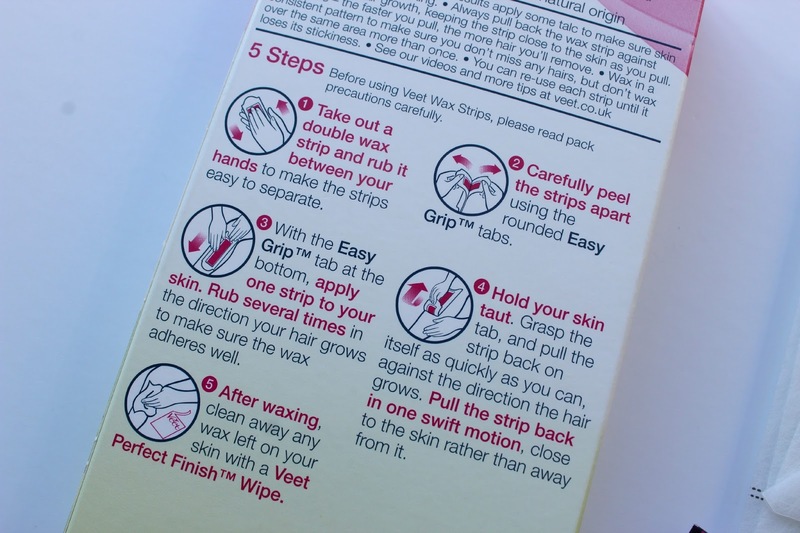 But if you aren’t familiar with waxing these 5 steps printed on the packaging are easy to follow. These wax strips feature easy grip tabs too which makes them a lot easier to hold back to keep your skin tight whilst waxing to achieve the best results possible. 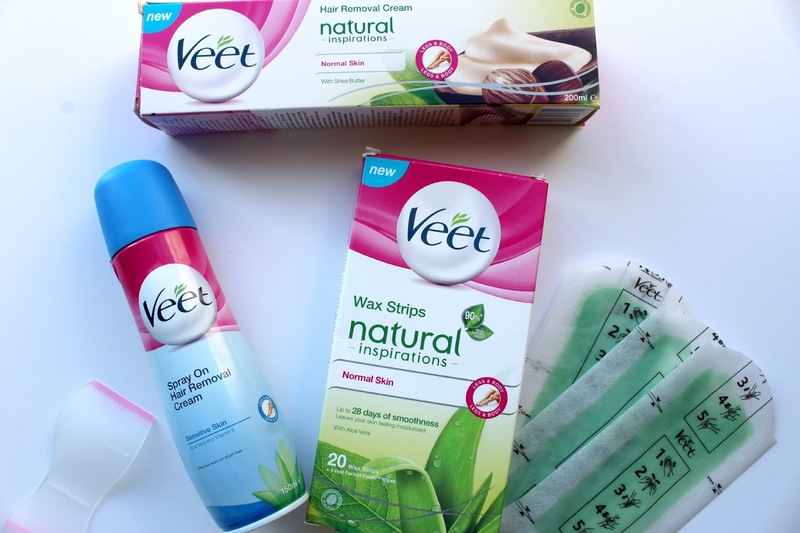 They also come with Veet perfect finishing wipes which are ideal for applying after waxing to get rid of the stickiness of the wax and to calm your skin down. Out of their new range they sent me a spray on hair removal cream and a standard hair removal cream tube. Being lazy at hair removal, the spray jumped out at me straight away as it saves so much more time without having the extra hassle to ensure it’s been thoroughly rubbed in. 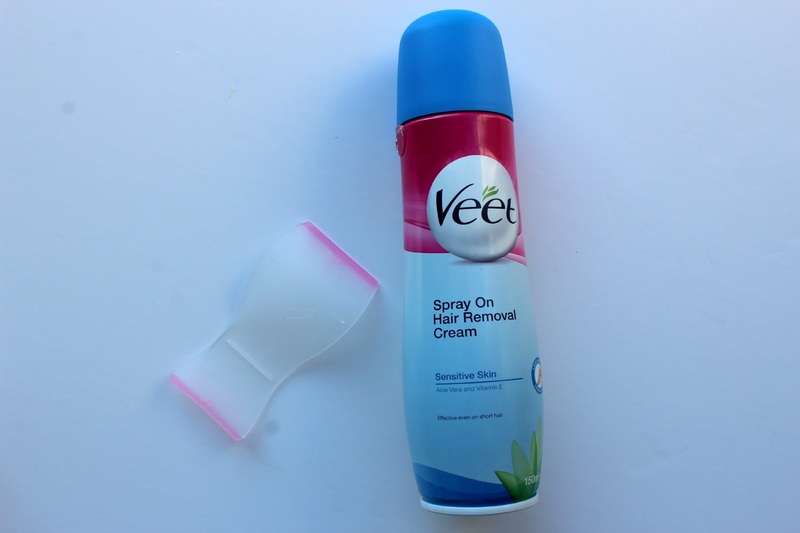 Hair removal creams always have a distinctive smell that I have never been keen on, and brands in the past I have used have always made my skin sting so I was slightly dubious about using this product. The spray on function was incredibly easy to use and you just need to ensure you spray an even coverage over the desired area. It still had the tell tale smell of a hair removal cream, but it didn’t sting when it had been on my skin for a few minutes which was a big bonus! After leaving this to sink into your skin for roughly 5 minutes you can then remove it with the plastic spatula that comes with it. I would say this is just as time consuming as shaving, I actually think that it would be quicker than this process. However, it did remove all of my hairs more or less and it claims that hair re growth will be smoother than before so only time will tell. The spray on removal cream was aimed at sensitive skin, whereas this one is targetted for normal skin. Enriched with shea butter it promises to be nourishing for your skin, with natural soothing properties. Unlike waxing, hair removal cream can remove the shortest of hairs. This works in the same way as the spray on cream, but you only need to leave this on your skin for 3 minutes, which is not such a life sentence as the 5 minutes feels for the spray on – making it a much quicker and easier process. 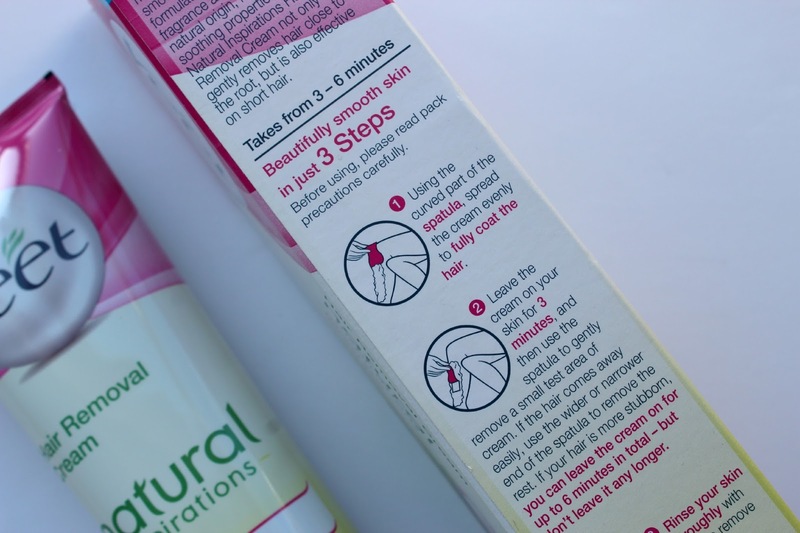 I personally preferred the formula of this one as I felt it was more effective in removing my hair, this may be down to the time I left it on my skin though. Overall I am impressed with their new range and think more people should look into considering different options during the winter months. My favourite product was the waxing strips, purely because of the amount of time saved over a month period where you can leave your skin alone. Either way I’m definitely stocked up on enough hair removal products to see me through to next summer! 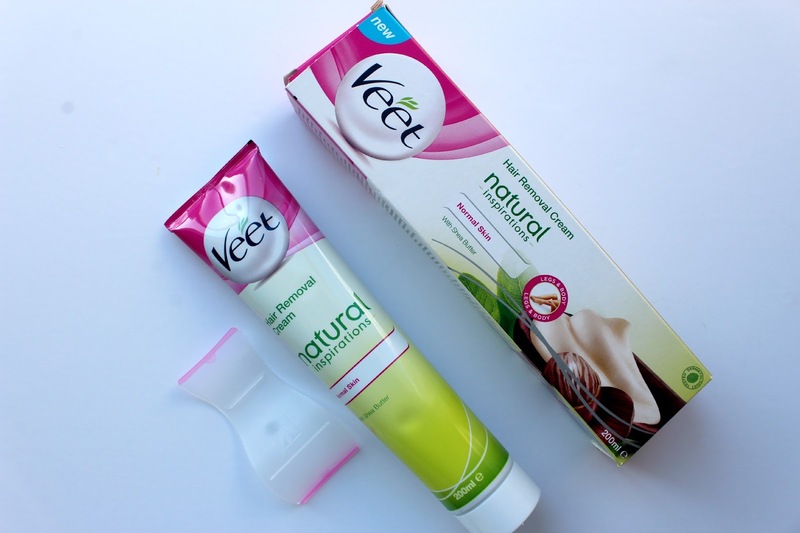 Have you heard of this Veet range before? What are your thoughts on hair removal during the winter?